Well balanced acoustic designs contain an appropriate combination of absorption, reflection and diffusion. In many applications, however, limited budget or surface treatment thickness preclude the use of diffusion. 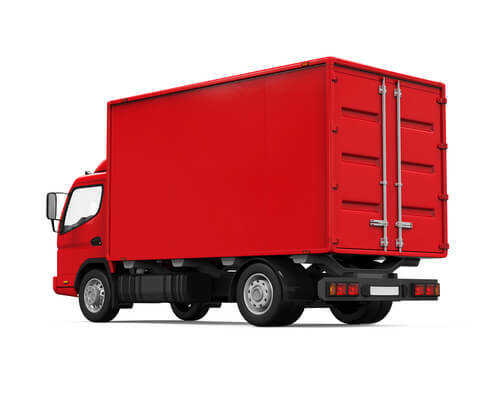 Absorptive, fabric-wrapped panels are specified for lack of an alternative. Unfortunately, wide area application may lead to an acoustically 'dead' environment without 'air' or ambiance. To solve this problem the Binary Amplitude Diffusor/Absorber simultaneously provides uniform sound diffusion at high and mid-band frequencies and crosses over to pure absorption below the diffusive cut-off. The energy that is not diffused is absorbed. To accomplish diffsorption, RPG developed a new planar 2-dimensional binary reflection amplitude grating consisting of a 31 x 33 element array of 1,023 0.5 sq.in. absorptive or reflective areas. The reflective areas (black in illustration to left) map to the '1' bit and the absorptive areas (white) map to '0', or vice versa. The distribution of these resorptive binary elements is based on a 2-dimensional optimal binary sequence with a flat power spectrum. The resulting variable impedance surface forms a binary reflection amplitude grating suggested by James Angus. This is in contrast to reflection phase gratings which use phase variation, rather than amplitude variation, to provide diffusion. The Binary Amplitude Diffsorbor (BAD™) panel provides diffusion about an octave above the frequency whose wavelength is twice the size of the binary element. This explains the limitation of traditional variable impedance arrays. For example, 1' x 1' panels provide diffusion up to about 1 kHz. Remaining high frequency reflections would still corrupt speech and music quality. The BAD panel consists of a binary mask attached to the face of a semi-rigid fibreglass panel. 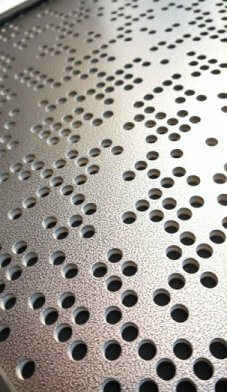 The panel is upholstered in a decorative fabric to completely conceal the acoustic functionality. The BAD panel extends the acoustic performance of traditional absorptive fabric wrapped panels and allows wide area coverage without excessive deadening. 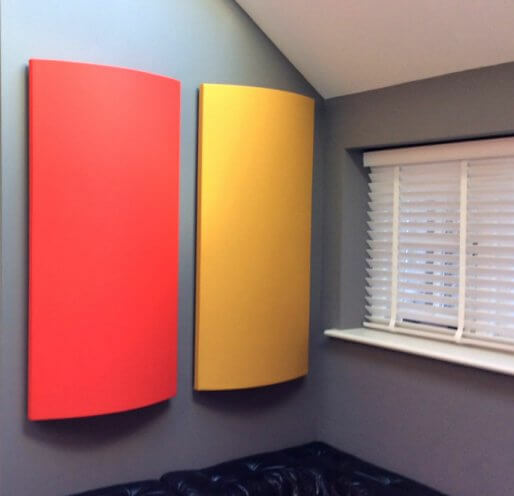 Acousticians now have a diffsorptive alternative to traditional purely absorptive fabric-wrapped panels at competitive prices. The BAD panel is ideal for any facility that needs reflection control from a decorative, upholstered, thin, and cost effective wall or ceiling panel. Traditional fabric-wrapped panels offer a cost effective, low profile aesthetic approach to providing reflection and reverberation control. 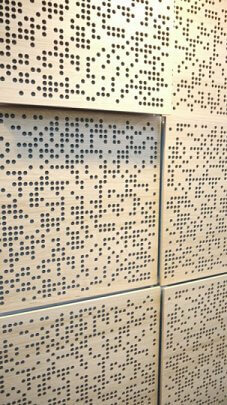 However, these panels offer little sound diffusion and large area application may lead to an acoustically “dead” space. Variable impedance arrays offer some help, but cannot provide diffusion at mid and high frequencies. The BAD panel is an innovative variable impedance fabric wrapped acoustic panel with a binary template consisting of reflective areas and holes over a semi-rigid fibreglass panel. The resulting Binary Amplitude Diffsorbor panel provides mid and high frequency diffusion and low frequency absorption. The graphs above illustrate how the BAD panels can offer an increase in bass absorption over a standard upholstered 1" panel below 1000 Hz, and a decreased absorption above this frequency. The binary template allows the sound above 1000 Hz to be uniformly diffused providing reflection control without destroying the room’s ambiance. The performance of a scattering surface is characterised by the diffusion coefficient, which is the standard deviation of the 1/3 octave angular response, shown above at 12.5 kHz. The graph illustrates how uniformly the BAD panel scatters sound across the frequency spectrum, compared to a reflective panel, for normal incidence. For normally incident sound, the graph illustrates the angular response at 12.5 kHz. The flat reflector scatters sound primarily into the 90° specular direction. The wall mounted absorptive panel has similar response, only attenuated. The BAD panel decreases specular scattering and more closely approaches the uniform ideal diffusion line. BAD panel acoustic diffusers are now also available with a curved front panel for improved diffusion. Contact Custom Audio Designs for further information and costs. A further range is now also available with an exposed timber veneered binary diffusion mask, or RAL painted, with coloured fabric applied to the panel rear as shown below.